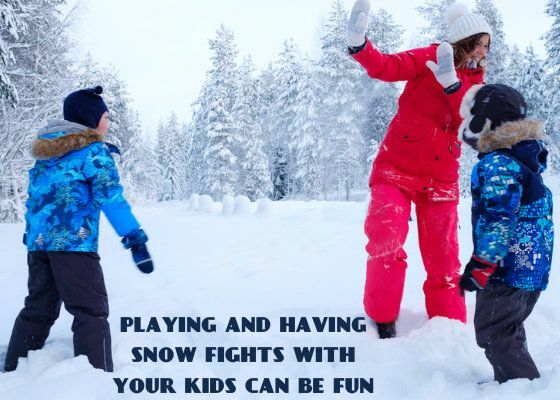 While playing and having snow fights with your kids can be fun, you have to also take care of the fact that they have to wear the right winter clothes that will not only keep them warm but also let them enjoy the weather. The right winter clothing should be like an investment, it is important to buy a few pieces of good quality clothing instead of purchasing several clothing of cheap quality. Wholesale kids clothing manufacturer are producing quality assured pieces of winter gear that the retailers can bulk order for reasonable rates. To help you make the best possible choices, a list of important things to consider before buying winter clothing for children has been given, that you should have a look at. Kids play in the snow during the winter and spend lots of their time on their knees and bums which means that they end up getting wet from head to toe. Hence it is essential that all their main gear like boots, snow pants and jackets must be made of a waterproof material. Look for a waterproofing indication on the clothes tag and make sure that they are resistant to it. To keep your children warm on the coldest of the days, you have to make sure that your children wear clothes that are made of insulated material. But beware, because insulated does not generally mean thick. Fibers made of new insulation technology have air pockets that are warmed by the body. Coats of this type are made of high quality and are lightweight which helps in mobility thus playing outside is even more fun. Material is a good indicator of quality and durability and it will make all the difference in your child's comfort this winter. The jackets and sweatpants that they wear should be made of a breathable material so that they don't get sweat chills while playing outside in the cold weather. Such layers are generally available under different names, hence look for the indication on the tags. Trying the clothes on before purchasing helps to check whether they are easier to wear and provides outmost comfort. Make sure to avoid buttons, because in this case zips are a better option. These helps in navigating well and protect the body from the cold. Check that the wrist straps are adjustable so that the gloves can be snaked in. The collar should be soft and high enough to protect the neck with the help of a layer wear. It is also important to take care of the clothes so that they can last you for a longer time. Make sure to handwash them in lukewarm water and in mild detergent. Reputed kids clothing manufacturers, have come up with a collection that retailers should have a look at.